Why Do 90 Day Bursts/Challenges/Goals Work And How Do You Set Them? If you're in any kind of home business profession or health and beauty type of market, you see people talk about 90-Day Challenges, bursts, or goals. How do yo do them? Find out by either scrolling down to read the transcript or watch the video below. I'll also share two types of challenges that begin on March 15, 2017, and end on June 12, 2017. 90 day Challenge from Tracey Hausel on Vimeo. 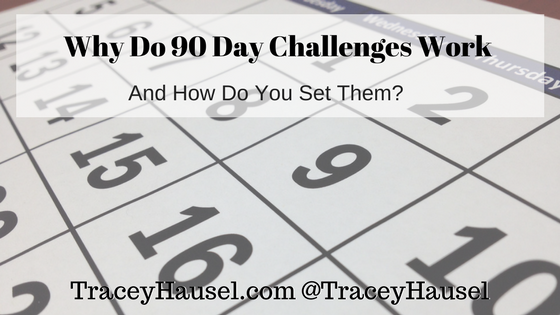 Here is where you can sign up for the 90-Day Challenge I talk about in this video/transcript. Remember this is a transcript of a live video completed on Facebook. Only small amounts of editing have taken place. Hi everybody, this is Tracey Hausel coming to you from TraceyHausel.com and I'm in my living room. I don't know why I look around when I say that, but I do. I'm in Wilmington, Delaware, which is about 20 minutes south of Philadelphia, Pennsylvania. Is getting ready to start a 90 day challenge on Wednesday, that would be March 15th . I'm having a hard time dealing with the fact it's March and we're expecting a foot of snow tomorrow. What I want to talk about is how or why that's [90-Day Challenges] important. For one thing, in the business world, financial world, it's divided into quarters. Now, at least in the United States, I don't know what it's like anywhere else, but United States the quarters go from January 16th to April 15th. This is Federal not State, because my State's is different. April 15th to June 15th, June 15th to September 15th, September 15th to January 15th. That's how they roll. This is kind of coming up and doing pretty much most of the second quarter, 90 day-ish? Yes, but pretty much the second quarter. It's important to have those goals because your long ones, and even five and ten year ones, they're out there but they're not really … You can't feel them, you can't taste them. It's kind of a little bit hard to just put yourself out there. For some people it's easy, most people it's a little more difficult. You have 90 days, okay? What Tecademics is doing is they're having two contests, two 90 day challenges. One's for affiliates, and one is for doing e-commerce on a platform called Shopify. For more information on that, message me, leave me a note in the comments. If you [want] to join the challenge you need a free account with Techademics, so go to TraceyHausel.com/Tecademics and you'll do that, you'll get that part setup. Then when it's time for the contest I'll make sure you get the link to fill out the information for the contest. Anyway, so what they're doing … I'm going to concentrate on the e-commerce side and then have it overflow into the affiliate stuff more so than the other way around. In fact, that's how Chris [Record, CEO of Tecademics] recommends it, unless you already are a big affiliate marketer of course [then] you're going to go after the affiliate stuff. For the e-commerce, what they've got to set up, and you've got to be active to be finalists, if you just have $100 in sales, not profit. You received $100 and they have ways of making sure that's real and not fake, you will get an entry, or you'd be a finalist for a trip to Bora Bora. You are not guaranteed that, but you're a finalist for that trip. If you do, I think the next one, and Anu, if you're still here, if I'm wrong correct me, the next one is $1,000. Then you're qualified to be a finalist for $20,000. Then if you do $10,000 sales in 90 days, you'll be eligible to win a free muscle car. I think last I heard they were talking Camaro but I don't know if they've necessarily picked one out. I personally hope he picks a ‘Vette, that's just me. 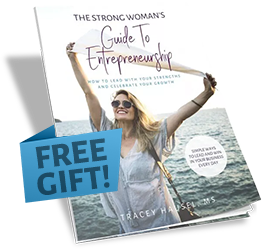 t's free to do this, I mean if you want higher level training you can buy into that, but just to set up shop and get it going, they're going to do a training every day and it's free. The first month is all about setting up the shop. The second month is getting sales, getting it going, getting momentum. Third month is scaling it up. If that's something you're interested in, please share, join me. How does that work? If you're interested in the affiliate side let me know. Basically, it's if you have an entry who's active, you've got to keep being active, one entry, I want to say a ten and a hundred entries, but I could be wrong. Oh, good Anu. I'm right at least about the e-comm. It's Bora Bora, twenty grand, and for the big prize it's a Rolls Royce, easy for me to say, Ghost. What if you don't want to do that [participate in one or both of these challenges]? What if you want to do, oh, network marketing, something else, promote. Well the same concept applies. If you're doing network marketing, Eric Worre teaches the first 30 days, it's just getting people in, letting them know. He does it for events, getting people in, letting them know it's coming, just getting them in. Next 30 days I believe is training, and then the last 30 days you're pushing for the event itself. Now, what you do is you just have, if you want to start with a year goal, go for it, but 90 days, what do you want to see happen in 90 days? You want 10,000 sales in your e-comm business? What are you making now? Or what are your sales now? Is it realistic, in 90 days, for you to get 90,000 sales? Well, yes, or maybe no. All depends. It depends on how much time you have, it depends on how much money you're able to spend for ad spend because you don't have to, but the way they're teaching is simple five dollar ads and the more ads you can do, the more products you can try to see which interests are there. You can get to the product winners quicker that way if you have more money to do ads on. It depends, I can't tell you, you have to decide whether that's realistic or not for you. Also, it will depend on how much patience you have, if you're willing to take direction, if you're willing to listen. If you are in training with me, I would most happily help support you for that because I am at a higher level mastermind for e-comm. What is realistic for you to get done in 30 days, I mean 30 days. Can you get one rep? Can you get $100 in sales? Whatever it is. Then the next month you ramp it up some, but don't just double it, you can go up a little bit higher because you're starting to build momentum. Do [it] one of two ways. If you think you will discourage yourself then don't go to the moon with your … Don't say, “Oh, I'm going to make $10,000 at the end of three months.” If your mind won't accept that, you're not going to do it. If you think, “Oh, well I could do $100 in sales,” or, “I could do $1,000 in sales,” or, “I could get one rep,” or, “I could get ten reps.” Whatever works for you, then do that. Because people will say, “Oh, shoot for the moon because if you miss, you land in the stars,” which is true. Unless, you're so scared of going to the moon, you never leave earth. It just depends on how far out your comfort zone you can go. Now, whatever it is you're doing, okay? You got to have some way to measure it. In the e-comm challenge, it's sales, overall sales. A time limit, where we have 90 days here. It's hard, it's March 15th to June 12th. He's not saying 90 days as in three months, no. He actually want on the calendar and counted 90 days. Realistic for you, not anyone else, okay? Pick your goal, mark it out. What activities do you need to do to get those? If you're doing e-comm you need to research the niches you're working on, you need to find products, and you need to place ads. Those are the skills. If you've not setup a store before, then you need to learn how to set up the store. If you're doing other network marketing, what are the seven skills you need to learn there. If you don't know, go check out Eric Worre's book [Go Pro] and work on those skills. You've got to have the skills. Now, I was listening to Brendon Burchard today and he was talking about visualizing, and I've talked about that before too. When you get up in the morning, visualize what you want, but he's also said, and I found this interesting and true. Not only do you visualize you doing it and then you attaining it, but visualize the struggle. Not visualize you're going to have the struggle, you are, I mean face it, you are. How are you going to get past that struggle, that's the part you're visualizing. You're visualizing getting that struggle and then you're visualizing what you will do to get past it. I think that's the key that he shared there. All right, we talked about 90 day goals, how to go out and get them. If you're interested again, sign up for a free Tecademics account, TraceyHausel.com/Tecademics. Let me know if you get a free account because we do have a group and this way I can support you. If you enter the contest and I'll let you know it's time to enter the contest, and if you do enter it let me know because I want to be able to support you and whichever side that you choose.If you choose do to both, okay? We're expecting a huge storm here in the northeast, lucky us, and so I don't know if I'll be online tomorrow. If my husband's home from work, probably not, I've got a feeling this one actually will be pretty big, they're talking winds. Last I checked, not a blizzard here, but if we're going to get … Oh thanks Jelena. Hey Jelena. I may not have power, I have no idea. But hopefully I'll see you tomorrow at 1:00 pm on my page, Tracey Hausel page, Facebook.com/TraceyHauselPage. Otherwise, get my blog, TraceyHausel.com. 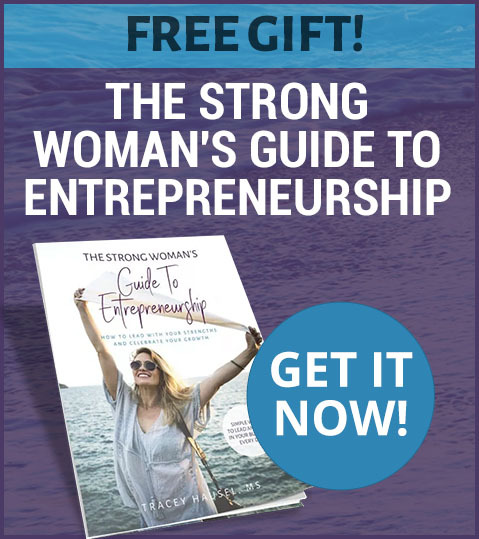 In the upper right hand corner put your name, your best email, and get on my newsletter for tips, tricks on time management, marketing, business, everything. [Anu posted in the chat] for the, Shopify Challenge, it's a Chevy Camaro. For the Affiliate challenge, for 100 participants, chance to win a Rolls Royce. That's what I thought, okay, I'm good. All right, so see you all tomorrow and have a fantastic day. Bye-bye. Share with your friends on Twitter and Facebook if you think learning about 90-day challenges would help them out.